Flights from Vilnius International Airport will be operated 8 times per week. “To ensure direct connection the frequency of flights is important; it becomes even more important where connecting flights are involved.”, says Simonas Bartkus, Chief Commercial Officer at Air Lituanica. Air Lituanica will operate flights on Monday, Tuesday, Wednesday, Friday and Sunday evening, while airBaltic – on Thursday, Saturday and Sunday midday. 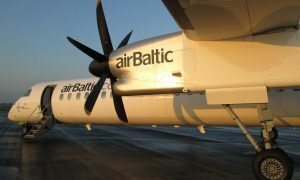 Air Lituanica aircrafts will take off from Vilnius in the morning at 6.50 a.m. and on Sunday evening at 5.30 p.m. airBaltic flight schedule from Vilnius to Amsterdam will be at 2.40 p.m.
“One out of every three passengers on airBaltic flights to Amsterdam continue their journey to an onward destination. 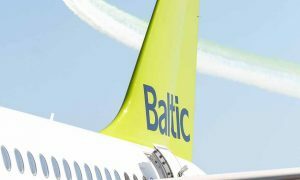 Our schedule is convenient not only for travelling to Amsterdam, but to destinations worldwide via the Dutch capital,”, comments Christophe Viatte, Chief Commercial Officer at airBaltic. Air Lituanica started its flights on 30 June 2013; by now it has carried more than 150 thousand passengers; it flies from Vilnius International Airport to the main airports of Brussels, Berlin, Prague, Munich, Paris, Tallinn and Billund. 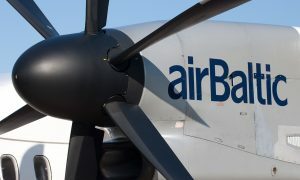 airBaltic is a stock company, established in 1995. Its primary shareholder is the Latvian state with 99.8% of stock. In 2013 airBaltic has carried over 2.95 million passengers.